The Q50 -- equipped with a direct adaptive steering system -- is Infiniti's first model that can drive itself on highways under certain conditions. 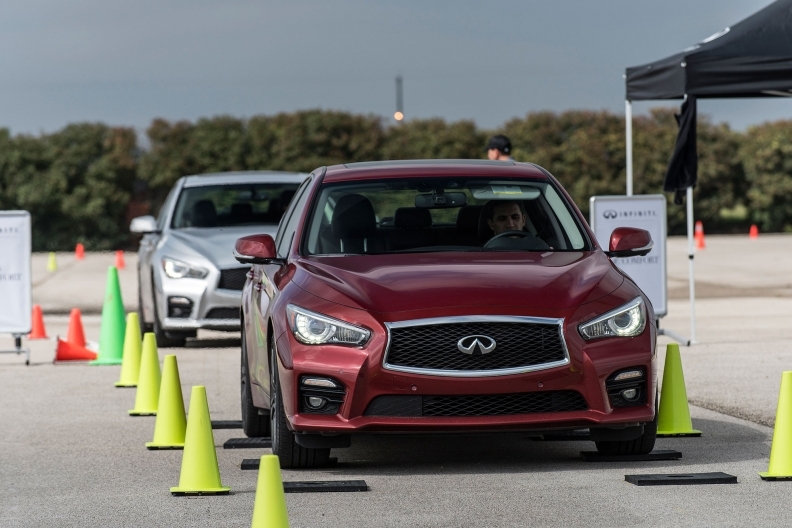 Nissan Motor Co.'s Infiniti luxury brand will recall roughly 60,000 Q50 models globally because the steering system that is key to the sedan's autonomous driving capabilities could malfunction. The recall covers 28,182 vehicles in the U.S. and 3,804 in Canada, Infiniti said. The auto industry is racing to put self-driving cars on the road, seeing autonomous driving as the next big thing, although safety, regulatory and technical hurdles remain. The system could malfunction "in certain rare circumstances, just after starting the vehicle" when a software glitch "can lead to a lack of steering responsiveness and change in turning radius," Infiniti spokesman Stefan Weinmann said. Infiniti will begin informing customers of the recall in June and July, he said, emphasizing the brand's commitment to safety. Infiniti chief Roland Krueger told Reuters last week that the brand plans to roll out autonomous driving to more new models as it introduces the steering system to more of its cars "one by one." "With this (steering) function, we can offer what we call partial autonomous drive already, so the car above approximately 60 kilometres per hour on the highway can be driven hands free," he said last week. Krueger said that more advanced autonomous driving features, such as those beyond highways, will require advances in infrastructure and regulation. This isn't the Q50's first issue with the direct adaptive steering system. Infiniti recalled 2014 model year Q50s because the electric steering system could be disabled at freezing temperatures, according to the U.S. National Highway Traffic Safety Administration. China's safety watchdog said the current recall would affect 6,894 cars in China, including imported Q50s and a long-wheel base versions that are locally produced. Infiniti sold 215,250 cars globally last year.